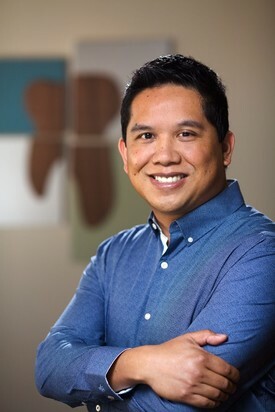 Dr. Mayuga was born and raised in St. Louis, Missouri. He attended the University of Missouri-Kansas City for undergraduate studies and later received his Doctorate of Dental Surgery from the University of Missouri-Kansas City School of Dentistry in 1995. Upon graduation, he was selected to complete a one year General Practice Residency at the Kansas City VA Medical Center. During this time he received advanced training in general and hospital-based dentistry while treating a broad range of cases and medically compromised patients. He spent six months training in various medical disciplines. After the completion of his residency, he began practicing in Gardner at the end of 1996 when he opened Imagine Dental. He is a member of the American Dental Association and the Kansas Dental Association Fifth District. Dr. Mayuga feels it is very important for every patient to have an outstanding experience. He values the long-term relationships he has made over the years with many patients and families. He enjoys all aspects of dentistry and in particular working with fearful and anxious patients and helping them overcome any barriers to dental care. Contact our Gardner dental office today to learn more about Dr. Mayuga or to schedule an appointment. Dr. Mayuga looks forward to serving you and your family.